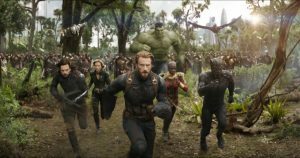 If you’re not that into the sport and the reason you watch the Super Bowl is because you’re a fan of the headlining performer or a cinema geek waiting for the new movie trailers to drop, then you’ve come to the right place because here’s a list of trailers you should expect to see during the 2018 Super Bowl! 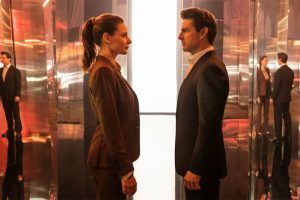 The first teaser for the latest Mission Impossible instalment has been confirmed to air by none other than Mr. Tom Cruise during the Super Bowl this weekend. Cruise has been teasing a lot of the action on social media lately and even shared footage of how he broke his ankle on set when he appeared on The Graham Norton Show and we must say, it’s pumping us up for the trailer, alright! Marvel’s most anticipated film of 2018 is rumoured to be one of the many teasers to be released during the half-time break and what better fit would it be to see our favourite super heroes in action during the Super Bowl?! 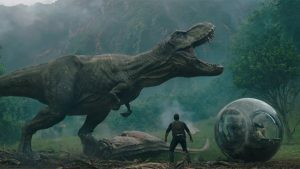 The sequel to Jurassic World is expected to have not one but two TV spots airing during the big game this year! The first trailer was released back in December with the movie scheduled to hit the big screen this June so we’re kind of really hoping that we do get two more looks at the action starring Chris Pratt and Bryce Dallas Howard. 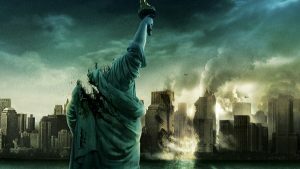 The third Cloverfield movie is another rumoured film to debut its trailer during the Super Bowl on Sunday night. Netflix have reportedly acquired the rights to release the film which has caused some outrage from fans of the franchise as that means they won’t get to experience a theatrical release. There’s been a lot of rumours regarding Cloverfield 3 so we hope we get some answers from a first official look very soon! 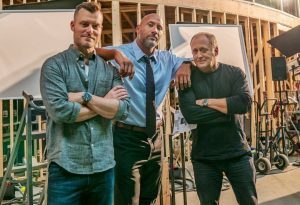 One trailer that’s definitely confirmed for the Super Bowl is Dwayne Johnson’s upcoming action/thriller Skyscraper. The film is set to be released July 2018 and is looking to be another blockbuster hit from Johnson. 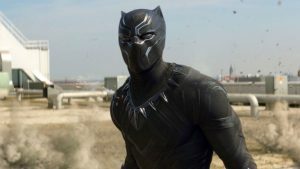 Now, we know the release to Black Panther is approaching super soon but its never too late to keep watching new footage. After all, the film is already breaking records in advance ticket sales so its no doubt that Marvel will put money down to promote it even further (as if they really need to)!